NovaVision VRT is intended for the diagnosis and improvement of visual functions in patients with impaired vision that may result from trauma, stroke, inflammation, surgical removal of brain tumor(s) or brain surgery, and may also be used to improve visual function in patients with amblyopia. Diagnosis of a visual field deficit can be determined in a number of ways, but is most commonly diagnosed using a visual field test, which can be obtained by a patient visit to an ophthalmologist, optometrist or other eye physician. 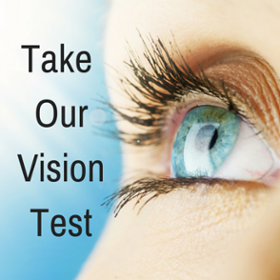 Visual Field test results must accompany a VRT prescription in order for the patient to be treated with Vision Restoration Therapy. It is recommended that a patient receive a prescription for one session twice daily, six days a week for six months. Physician contact information for NovaVision Patient Services should accompany the VRT prescription. The prescription, visual field test results, eye exam report, payment arrangements and the completion of certain other forms will be required before commencement of treatment. Therapy Reports will be provided to the patient’s prescribing doctor if wished. Follow-up visits can be conducted to review patient’s progress and determine additional therapy, at the discretion of the patient or physician.